This is the Jayhawks album that fans have been waiting for a while to happen—-a reunion that features both singers Gary Louris and Mark Olson for the first time since 1994’s Tomorrow the Green Grass. 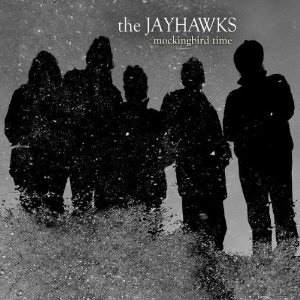 And as a result, Mockingbird Time feels inspired as it harkens back to the sound evoked on the early terrific Jayhawks albums such as the aforementioned Tomorrow and its predecessor Hollywood Town Hall: alt-country with some lush orchestral arrangements. It varies from buoyant songs such as “Closer to Your Side, the stomp-like rocker “Hey Mr. Man” and the catchy “She Walks in So Many Ways”; to reflective ballads such as the picaresque “Tiny Arrows” and the pretty title track as well as the melancholy-sounding “Blackeyed Susan” and “Standout in the Rain.” To hear the voices of Olson and Louris together again is a joy once more, and this wonderful elegant and rootsy work—the band’s best in a long while—is a reflection of that.